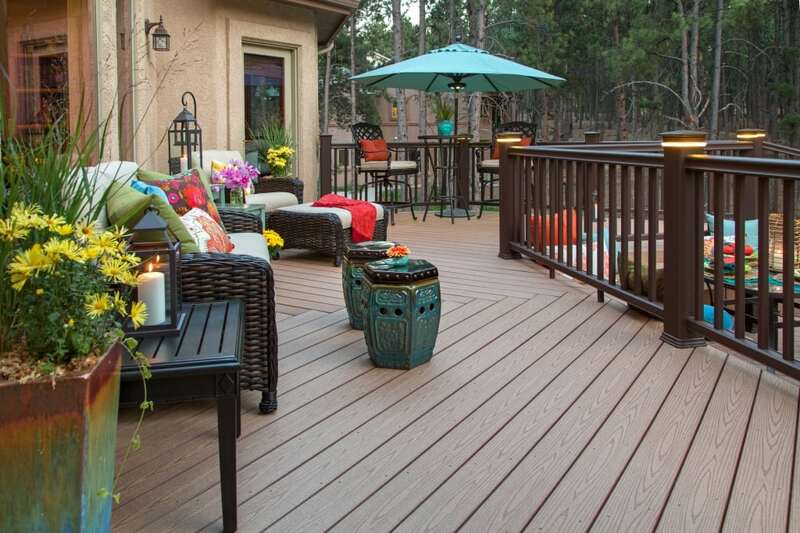 Today, composite and PVC decking are two of the most popular deck materials on the market. At New Jersey Siding & Windows, Inc. we offer a wide selection of composite and PVC deck boards, as well as professional installation services, to turn your backyard into the outdoor entertainment area you’ve always dreamed of. Learn more about our deck installation services and financing options by calling us today at 973-671-4671. Though it first appeared on the scene in the 1990s, composite decking is still a relatively new decking material. Since its early days, homeowners have chosen composite boards over natural wood for one main reason – composite decking requires little to no maintenance. That means no more scrubbing, bleaching, staining or occasionally replacing a warped or rotten board. While these long-lasting, manmade boards were once offered in very limited colors, they’ve since become available in a wide array of hues. Newer products are even made to resemble the look of natural cedar and Brazilian walnut. In most cases, composite boards are made from recycled plastics, sawdust and other materials, making them an eco-friendly choice. Composed entirely from polyvinylchloride (PVC), this type of decking doesn’t contain any wood. PVC is considered a premium deck building material, offering significant fade, stain, dent, insect and mold resistance when compared to other decking products. Like composite decking, PVC deck boards are super easy to clean and maintain, as they don’t require staining, sanding or painting. Similarly, PVC decking often comprises recycled materials, giving homeowners an environmentally friendly alternative to wood decking. PVC deck boards are available in a wide variety of colors, and some are finished to look like real wood grain. Both composite and PVC deck materials require a high-level of skill and finesse to install properly. To ensure your new decking surfaces retain their beauty over time, turn to the professional installers at New Jersey Siding & Windows, Inc. Request a free estimate today to get started.